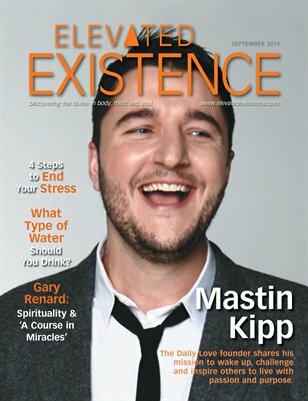 Mastin Kipp, founder of The Daily Love, shares his mission to wake people up, challenge their fears, motivate them to take action, and inspire them to live with passion and purpose. The new author offers advice on these topics and more. Also in the issue: 4 Steps to End Stress Martha Beck on Creating Abundance Sonia Choquette on Messages in the Chaos Gary Renard on A Course In Miracles Animal Communication Advice from Joan Ranquet Food as Medicine: Is Candida Making You Sick? What Type of Water Should You Drink?